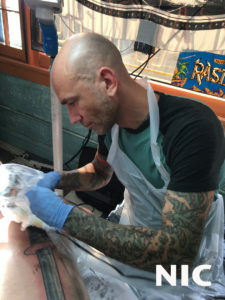 If you ask around Minneapolis where the best place is to get tattooed, chances are someone will mention Uptown Tattoo. The artists that reside at this shop have their work displayed on human canvasses throughout Minnesota. 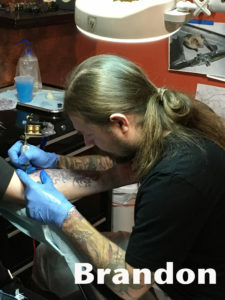 As the most frequented tattoo shop in the state, Uptown Tattoo has a reputation of quality and trust among its clients. The artists are professional and personable, building strong relationships with their clients before creating permanent impressions on their bodies. Much of their business comes from word of mouth, and their steady stream of clients proves that they have thoroughly satisfied their customers. Uptown Tattoo has turned out some of the greatest designs and artwork in the country. Those who live in Minnesota are fortunate to have these incredibly talented artists in their own backyard. 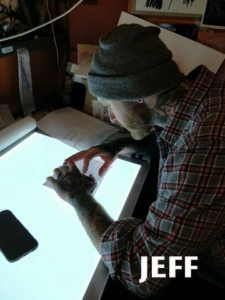 Clients travel from far and wide to have their tattoo work completed by some of the best artists in the country. Uptown Tattoo is the favorite tattoo shop of Minneapolis. 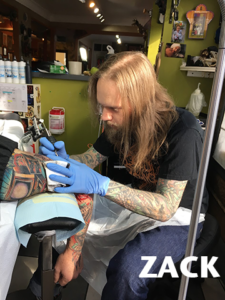 Uptown Tattoo in Minneapolis is not only known for its talented artists, but also for their impeccable quality of work. Consultations and walk-ins are welcome. This place is awesome! The shop artists are very attentive, friendly and creative. 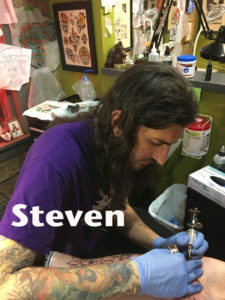 Steve is amazing! I took in a sketch, and he made it 100x better! My tattoo turning out perfect. I was almost sad to leave because he was so fun to talk to! He made the session fun and fly by with great conversation! 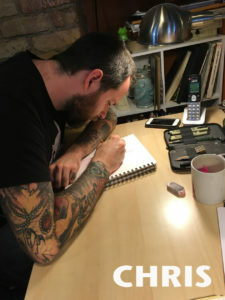 Been looking for a new tattoo artist and found a great one. I love the shop and Matt is awesome! Nic Skrade. Amazing artist. I had a blast getting the first part of my sleeve done. Great establishment with relaxing fun atmosphere. Can’t wait for my next appointment. All the artists at Uptown and incredible. I have such a deep respect and appreciation for each one of their styles and I’m thankful to be able to have such beautiful art on my body. People comment so frequently on the intricate nature of my tattoos, and I’m so proud to tell them I go to Uptown! Thanks for sharing your talents with me! Best in town! Been going here for multiple tattoos and always trust the end results. Nic is an amazing artist as well as the others at Uptown. Thanks for all the awesome work. Ask around Minneapolis where the best place is to get tattooed and chances are someone will mention Uptown Tattoo. WE'RE OPEN! After almost 2 month of renovation we are finally in our beautiful new space, stop on by and say hi! The remodel is chugging along, we are hoping to be finalized by the Nov 19th! We are busy as usual this summer at Uptown Tattoo, and appointments are filling fast- so please be patient! It’s worth the wait! We are now doing walk-ins all day Saturdays, so come down and get that spur of the moment tattoo!